The completely redesigned shop area awaits your visit. Everything here centres on Stuttgart's No. 1 landmark. 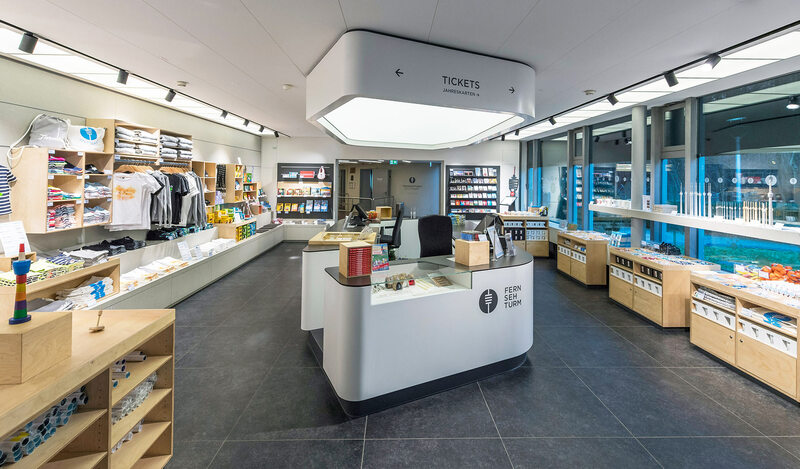 You'll find an outstanding range of souvenirs and articles of daily use Ð all with one theme in common: the Television Tower. Embroidered, printed, as a trophy or bottle opener. As perfumed tags or a click TV. On T-Shirts or postcards.